Intradural intramedullary tumors include spinal cord ependymomas and astrocytomas. Dr. Ghosh has substantial microsurgical expertise in the surgical management of these tumors. He also utilizes the CyberKnife radiosurgery system for precision radiosurgery of such tumors when they cannot be safely resected. For intradural extramedullary tumors, these tumors include meningioma, schwannomas, and neurofibromas. Dr. Ghosh has substantial microsurgical expertise in the surgical removal of these tumors. He also utilizes the CyberKnife treatment system for precision radiosurgery of these tumors when surgical resection is not possible. Extradural spinal tumors include metastatic tumors from other parts of the body to the spine, schwannoma, and neurofibroma. 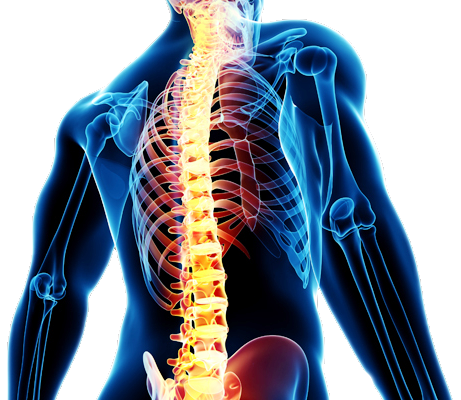 Dr. Ghosh has substantial expertise in the surgical management of metastatic tumors to the spine as well as benign schwannomas and neurofibromas of the spine. Dr. Ghosh uses a combined approach of stereotactic radiosurgery with the CyberKnife, surgical resection, and spinal reconstruction when needed for patients with spine tumors.